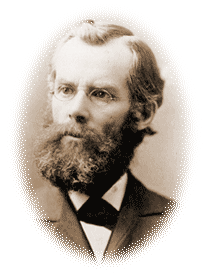 John Nevin Andrews is most notably know in the Seventh-day Adventist Church as our first missionary overseas. J. N. Andrews was born July 22, 1829, in Poland, Maine. He quit school at age 11 and was largely self-taught. It is reported that he was fluent in seven languages and could recite the New Testament by memory. His uncle Charles, a member of the U.S. Congress, offered to pay for his training as a lawyer so he could follow a political career. However, early in 1845, at age 15, John accepted the Sabbath from a tract written by T. M. Preble. It changed the direction of his life. He and Uriah Smith married sisters, Angeline and Harriet Stevens. John’s wife Angeline died of a stroke in 1872. Ellen White urged him to remarry, but when he went to Europe in 1874 as the first official Seventh-day Adventist missionary, he went as a widower with his teenage children, Charles and Mary. Mrs. White wrote to church leaders in Europe: “We sent you the ablest man in our ranks” (Manuscript Releases, vol. 5, p. 436). Although he received frequent corrections from Mrs. White, Andrews wrote often in support of her ministry and her visions. Always literary, he established the Adventist press in Basel, Switzerland. Andrews died in Europe of tuberculosis in 1883, at the age of 54. He is buried in Basel, Switzerland.